As a member of Young Living Essential Oils, i can honestly say that joining YL was the best decision made. Whether your an avid user of any brand essential oils or are just begining to explore with them, you will find that Young Living has by far the best oils in the world. 100% pure, therapeutic grade, farmed and cultivated by YoungLiving alone. (Ask about the Seed to Seal promise). As a member you get 24% off all items and access to other optional perks. 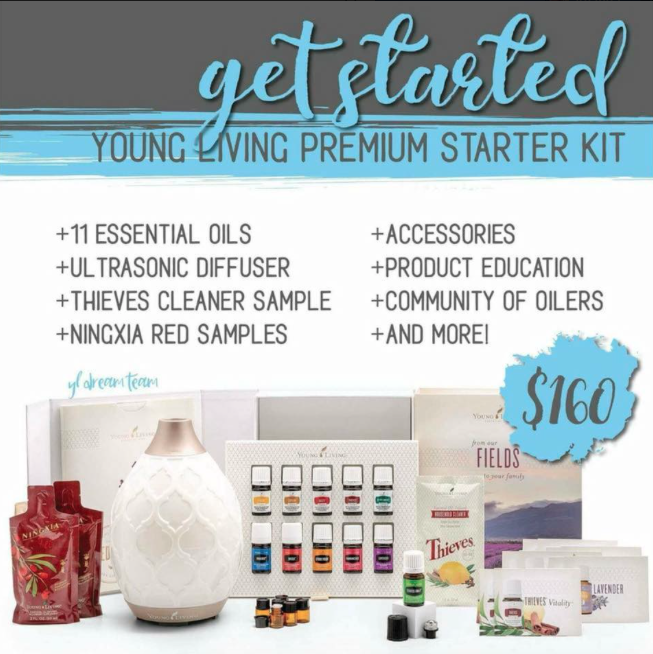 By purchasing a starter kit, you become a member for life, and get all the beneifts Young Living has to offer! Each oil has many uses that can benifit your body, mind and soul. Spreading the love, one drop at a time, creating a happy, healthy, tranquil way of life! Or email Shantiyoga08@yahoo.com for any questions or to try a sample!